Founded in 2004 by David Baxter and Colin Urie and headquartered in the small Scottish market town of Lanark, Revo is a specialist designer of digital audio devices. Driven by function and quality, our products blend the highest design principles with the latest digital audio technology, each designed to leave a lasting impression and to stand the test of time. 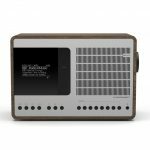 Small but perfectly formed, dedicated to our craft, and proudly independent, Revo is a pioneer in digital radio and audio streaming and the recipient of multiple international awards including Red Dot and iF product design awards. Revo products are sold in over 20 countries around the world. 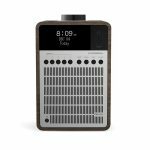 The Revo PiXiS RX radio offers a modern twist on the traditional radio. Enjoy access to a choice of internet and digital radio stations or stream music across your home Wi-Fi to surround yourself with great audio tracks. SuperCD combines the widest possible array of functionality and audio format compatibility to create the ultimate one-box music system. Blessed with the timeless good-looks and material quality of its SuperSeries siblings, SuperCD appeals to both traditionalists and technology enthusiasts alike. Access to tens of thousands of radio stations from far and near, multi-format CD playback, an almost limitless supply of audio tracks from Spotify, high quality wireless Bluetooth streaming and multiroom audio capabilities, all controllable via a specially designed app for iOS or Android devices. 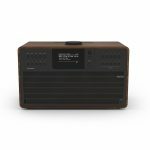 SuperSystem is the evolution of the classic home stereo, re-imagined by REVO for the age of digital music and wireless audio streaming. Thoughtfully designed to perfectly blend the time honoured values of engineering, craftsmanship and material integrity, with next-generation all-digital technology, superlative room-filling acoustic performance and award winning industrial design. 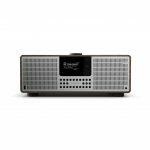 In a plastic world of endless and seemingly semi-disposable Bluetooth® speakers, SuperTone is an oasis, delivering a timeless mix of authenticity, quality materials and acclaimed acoustic engineering. 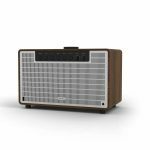 Its mid-century inspired design belies the cutting-edge audio electronics that lie within its handsome hand-crafted American walnut casework. Furthermore, the use of high quality anodised T6 aluminium, pressed steel and CNC machined parts further injects a reassuring tactility.